When you take a corner in your car, the outside wheels have a little bit longer distance to cover than the inside wheels. This means that the outside wheels have to turn slightly faster than the inside wheels. This mechanical magic is made possible by the differential. The differential is what allows the drive wheels to rotate at different speeds during turns without the wheels sticking or jumping. 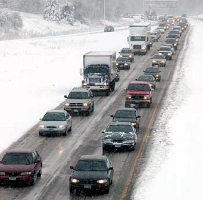 If your vehicle is a rear-wheel drive, the differential is located on the rear axle. If you’ve noticed a bulge in the middle of the axle when you’re driving behind a truck, that’s the differential. 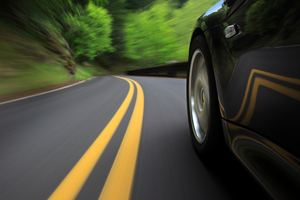 If your vehicle is a front-wheel drive, the function of the differential is handled by the transaxle. Of course, an all-wheel drive vehicle has a differential on both axles. They also have a center differential or a transfer case between the front and rear axles to compensate for speed differences between the front and rear. Because all the power of the engine is transferred through the various differentials, you can imagine how strong they need to be and that they’re built to last a long time. That’s why it’s so important to keep your differential properly lubricated. Differential fluid cools and protects the gears. Your service technician will check the differential fluid level and top it off if necessary. With low fluid, the differential will run too hot and wear prematurely. Ask your service adviser for the recommended time to change your differential fluid. Fresh fluid will extend the life of your differential. Your service technician will also inspect the u-joints, which connect your driveshaft to the differential and he may recommend service. Some u-joints can be lubricated as part of a routine lube, oil and filter change as well. Now , of course, differentials eventually wear out and need to be replaced. You might notice a strange noise from your axle area as one of the first warning signs. When the differential shows signs of failing, it’s important to repair it quickly. If you leave it too long and it freezes up when you’re driving, you could lose control of your vehicle, as well as cause damage to other parts like the axle, driveshaft or transmission. Last week I was out running errands and my temperature warning light came on – total panic! I pulled over and my car was overheating. After I waited for it to cool down, I went right into my Denver service center to have them take a look. My service adviser at Express Car Care told me my water pump was leaking and needed to be replaced. He said water pumps just wear out and that they need to be replaced, because they have the important task of pumping the coolant that cools the engine while it’s running. He told me they checked out my radiator hoses, serpentine belt and tensioner and that they were fine, but I was overdue for changing my coolant – embarrassingly overdue. I didn’t realize there was a schedule in my owner’s manual for when to change my coolant. My Express Car Care service professional said that the coolant actually becomes corrosive over time and could damage my radiator, head gaskets, intake manifold gaskets, heater core, metal cooling pipes, expansion plugs,…the list goes on. That’s why they recommend changing the fluid on schedule. So after they replaced the coolant with the kind my owner’s manual recommends and after learning a difficult lesson, I was on my way. It feels good knowing my cooling system is healthy now and I don’t need to worry about it. At least until my next scheduled coolant change. Every vehicle owner who has taken their car in for an oil change has been told at one time or another that their engine air filter is dirty. 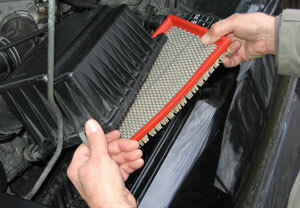 These are the steps that go into determining when your engine air filter needs to be changed. First, your vehicle owner’s manual will have a recommendation of when to change the filter. Second, a visual inspection by your service technician may determine that your filter is visibly dirty and needs to be changed. 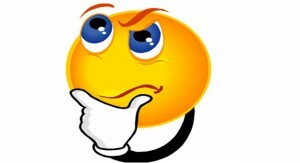 So between your vehicle owner’s manual and your technician’s inspection there is very little guesswork involved. Now, most air filters purchased in the Denver area don’t cost a whole lot to replace, but most of us don’t really enjoy getting caught with an unexpected expense. On the plus side, though, changing a dirty air filter at Express Car Care can often save enough on gas to pay for itself before your next oil change. You can compare it to a dirty furnace filter in your home. When it’s all clogged up, enough clean air can’t get through and your furnace struggles to heat your home. In your vehicle, a dirty air filter means that your engine can’t get as much air as it needs to burn the fuel efficiently. So it makes do with less air and has to use more gas to move your vehicle around on the roads. Your vehicle actually needs about 12,000 gallons of clean air for every gallon of gas it burns to run efficiently. So give your vehicle some clean air for your engine and have your air filter changed. It doesn’t cost a lot initially and saves you money in the long run, while also protecting your engine and giving it better performance. Question: My car repair shop said I need a new serpentine belt, but I don’t see any cracks in it. Does it really need to be replaced? Express Car Care Answer: I appreciate your concern. Old style neoprene belts would crack with age, making it pretty obvious to drivers when they needed to be replaced. Nowadays, serpentine belts are made from different material that doesn’t crack or glaze the way neoprene did. Just to explain, the serpentine belt transfers power from the engine to various accessories, such as the alternator, power steering pump and air conditioning compressor – even the power brakes and water pump on some vehicles. Modern serpentine belts have several grooves running their length. These grooves mate with the pulleys on the accessories. When the belt is within its useful life, it spins the accessories at the designed speed. Over time, belt material is worn away. When as little as 5% of the material is lost, the belt can slip and won’t spin the accessories properly, leading to stress and damage. Using a special tool, your knowledgeable service adviser can measure the material lost in your serpentine belt. He will indicate if it needs to be replaced. 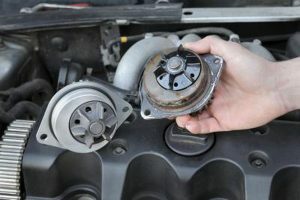 It’s important for drivers to understand that the serpentine belt is part of the accessory belt drive system, which also includes the serpentine belt tensioner and any idler pulleys. The belt tensioner has the same service life as the belt itself, so if it is time to replace the belt, you should also replace the tensioner and idler pulleys as well. A worn belt tensioner can cause the belt to slip and not do the job it’s suppose to do. Running too long with a worn belt, tensioner or idler pulleys causes excessive heat at the accessory pulleys, resulting in inefficiency, damage and premature replacement. Do you ever get musky odors coming from your car’s air vents? It’s a fairly common experience for Denver drivers. Moisture can accumulate in the air conditioning/heating ventilation system allowing mold, mildew, fungus and bacteria to grow. Disinfecting and deodorizing is a process. Depending on how serious the problem, there are a couple of approaches Express Car Care may take to get rid of the unwanted smells. For mild situations (especially on newer vehicles) a special deodorizing disinfectant is introduced into the ventilation system. This may be an aerosol or a mist application. The treatment kills the offending organisms and deodorizes the system. 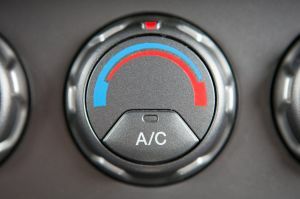 Sometimes in older vehicles, a good deal of mildew or other microorganisms can grow on the air conditioning evaporator, which is housed in the heating/air conditioning air blend box behind the dashboard. In this situation, the blend box is filled with disinfecting foam that can eliminate stubborn organisms and return a fresh, clean scent. In all of this, don’t forget your cabin air filter. This is the filter that cleans the air coming into the passenger compartment of your vehicle. Denver residents can have the cabin air filter replaced to eliminate unpleasant odors. This is the first line of defense. Changing the cabin air filter as needed can actually prevent further contamination problems down the road. If you are experiencing any unusual odors, sounds, or vibrations, talk to your knowledgeable Express Car Care service adviser. 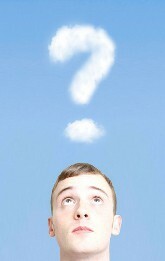 He can recommend the needed steps to discover the problem and what it will take to set it right. Question: When should I replace my windshield wipers? 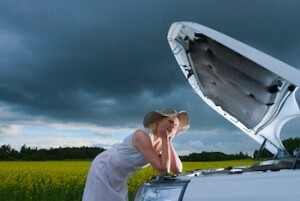 Express Car Care Answer: Well, most Denver drivers wait until they fail. The problem with that is that you find out they have failed when you actually need them the most – than it’s a little too late. Wiper blades are really a safety system for Denver drivers. As you can imagine, 90% of our driving decisions are based on what we see. If you can’t see well because your wipers can’t clear your windshield, your ability to make good decisions and drive safely is significantly impaired. So the simple answer – Denver drivers should change their windshield wipers if they don’t work well, but replace them before they go bad so they are always ready when that unexpected storm hits. For some drivers, once a year may be enough. For others, those who drive a lot, or their wipers are exposed to a lot of sun or they use them more often, replacing the blades a couple of times a year might be a better plan. There are several types of wiper blades. The conventional blade is the base model. On the other end of the spectrum are beam blades. These have a solid beam that provides uniform pressure over the entire wiper surface for better contact with the windshield. There are also hybrid blades that are a combination of the conventional and beam blades. Upgraded wiper blades last longer and provide a cleaner wipe. Drivers can always upgrade but should never go with a lower grade blade than what was installed on your vehicle from the factory. Remember, using your windshield wipers on an icy windshield will tear them up. Scrape your windshield before running your wipers. Your knowledgeable Express Car Care service adviser can give you wiper blade options and help you select what’s best for you and your vehicle.